Awesome home, in a great location and move in ready! Gorgeous home, cathedral ceilings lots of natural light! Bathrooms and kitchen have been beautifully updated! Stainless steel appliances, custom spice rack, beautiful backsplash! GORGEOUS real hardwood and tile flooring throughout! Cozy family room with wood burning fireplace! Refrigerated air, three bedrooms up and one bedroom down! Each bedroom has it's own walk in closet! Two living areas, and BONUS ROOM very tastefully done, gorgeous room! Great for office, or guest quarters with it's separate entrance! 3 car garage, tons of storage! Ceiling fans in bedrooms, great size backyard with apple, cherry and peach fruit trees and so much more! Hurry to this fantastic property! Absolutely drop dead gorgeous home! Still shows like the model it once was! Original home owners have lovingly care and maintained this fantastic property and it shows! It is a green built home! SILVER RATING! Smart home technology! Fantastic open floor plan, great for entertaining your guests! Gorgeous kitchen with all the latest in style and color scheme! Lots of countertop space, stainless steel appliances, good size island for extra work space! Two living areas, one on the main level and second upstairs (or could easily be 4th bedroom) gorgeous window coverings! All bedrooms are up! Laundry room is also upstairs for extra convenience! Fully landscaped front and back nicely done for super low maintenance and so much more! Don't miss this well-cared for home in a convenient location. This home features a large living room with vaulted ceilings, nichos, and plenty of natural light. The kitchen is open to the dining area and a smaller nook perfect for a small tv area or home office. The master bedroom is light and bright and features double sinks and a separate tub and shower. The backyard is easy to care for and features a covered patio to sit and enjoy the views. All appliances are included. Don't miss this one - make your appointment today! Beautiful single story golf course home in sought after Tanoan East. Newer georgeous hardwood floors throughout except tiled areas. No carpet. Four large bedrooms!! No level changes or stairs. Back bedroom has it's own bathroom, two closets and living area which makes it a perfect in-law quarters. Even an area that can be set up as kitchenette. Kitchen is unique with granite and SS appliances. Master Bath is spa-like with claw foot tub. There are three living areas, one is currently being used as formal dining. There is also a dining area in living room. Tons of storage in this home. Come see it today!!! This beautifully updated home is unique in the Nob Hill area for it's spectacular views of the Sandias from almost every window in the house. Add the gorgeous wood floors, open floor plan, newly updated kitchen with island and the stylish design choices throughout and you've got a home you'll have to see to believe! Features include: Hickory and Maple floors throughout, potential yoga or dance room, kitchen island with cooktop and bar seating, custom cabinets, granite countertops, large living room with fireplace, open floor plan, picture windows in the living room great room and master bedroom, custom closets upstairs in both bedrooms, large finished basement with washer/dryer hook up, finished garage, new roof (9/18), storage shed and fountain in the nicely landscaped backyard! Charming three bedroom house in the heart of Taylor Ranch. This house has brand new carpet, new vinyl wood flooring in kitchen and dining room. Warm neutral paint freshly painted throughout interior. Master Bedroom downstairs with walk-in closet. Two spacious guest bedrooms upstairs. Wood burning fireplace with mantle in living room. Close to Mariposa Park. Priced right. Come see it today. Preferred closing with Old Republic/Norma Giaquinto. Beautiful Home Located Near Downtown. Fully Renovated. Includes all new electric, hot water, HVAC/ refrigerated air, Whirlpool stainless steel appliances, low E windows, light fixtures and ceiling fans. Refinished hardwood floors and tile throughout. Close to many cafes and bakery's, coffee shops, restaurants, gyms, schools and libraries as well as the court houses! Live in the heart of Downtown! Immaculate Custom Mechenbier in High Desert with Mountain Views, New Paint & Carpet, Nice Updates, Refrigerated Air, 3-Car Garage, Easy Care Yard, & Cul De Sac Street! Multiple Living Areas Up & Down offer Family/Entertaining Spaces for Years to Come. Open Kitchen/Living with Lots of Windows nicely access an Inviting Back Yard, complete with Outdoor Kitchen, Turf Lawn, Shade, & Mountain Backdrop. Master Suite with Private Balcony offers Panoramic Views, a Mountain Scene from your Pillow, & Dual Closets! Huge Upstairs Flex Bedroom with Balcony can be a Rec Room, Office, or Remodeled into Two Bedrooms. Spacious Laundry Room with Washer/Dryer, Sink, & Extra Refrigerator. Xeriscape/Turf Low Maintenance/Water Landscaping. All Appliances Convey. Turnkey & Sparkling. Nothing to do but Move In! Contemporary, completely updated home on the cusp of Nob Hill! This open floor plan has gorgeous hardwood floors throughout the home. The fully updated kitchen has a bar for seating, stunning backsplash, stainless appliances, gorgeous countertops, and elegant white cabinets. The master suite is spacious with a large walk in closet with built ins. The bathroom is a peaceful getaway! Modern double vanity with floating cabinets, elegant soaking tub and large custom shower with beautiful details. Enjoy the outdoors in the big backyard with backyard access! Cozy townhome with VIEWS! The kitchen has beautiful cabinets with all appliances and is open to the formal dining room. The main living area is warm and inviting with the wood burning fireplace as the centerpiece. Upstairs in the master suite is a private balcony with spectacular views of the Sandia's and the city! Fall in love with this immaculate, quality built home that sits on a low traffic Cul-de-sac. Nice fireplace warms in the winter months and refrigerated air cools in the summer. This well-designed floorplan offers formal and informal living areas, plus an upstairs loft for more living space. Family oriented community has parks, tennis courts, a pool for great family fun. Now vacant. New pics with aerial views! Adorable Sivage with new roof Jan 2019! Upgraded carpet/paint! Awesome kitchen with all appliances including Refrigerator, washer, dryer! Outstanding loft upstairs large enough for 2nd living area, play room etc! Fully landscaped backyard with grass & trees and maintenance free patio cover! Home just a couple blocks from 1 of many Ventana Ranch parks! Come fall in love with this beautifully updated Northeast Heights home. Step inside to a spacious floorplan, sleek and stylish kitchen with granite countertops, ss appliances, and separate dining area. This home features new laminate flooring, a custom fireplace, and room to entertain. With a master suite and two extra bedrooms- this property offers plenty of functional space. Great location- conveniently located near schools, parks, transportation, & shopping. Schedule your private showing and make this house your home today! Welcome home! Immediately fall in love with this beautiful & updated home, located in a cul-de-sac street, near new shopping centers, NEW elementary school-Tres Volcanes & convenient I-40 access! Pristine landscaping will impress! Discover an updated kitchen, stainless steel appliances, breakfast bar island, pantry & gas oven. The family room is enhanced w/gas log fireplace & built-in entertainment space. Formal dining room with slate tile floor! Spacious master offers large walk-in closet & master bathroom with generous shower & double sinks! Upstairs utility room! NEW ROOF 2018; NEW evaporative cooler, 2019; NEW water heater, 2019. Outside recently painted & new gutters! Newer carpet & wood floors on stairs & hallway. Lovely backyard with covered & open patios, storage shed! NICE! Special features include open light floor plan, large country kitchen, new water heater flooring (ceramic tile & Pergo), extra large attached one-car garage and Lots of cabinets and storage throughout. This newly renovated downtown home has charm, updates, & gorgeous wood floors! As you enter, you are met with a spacious driveway with automatic gate, new stucco, new roof, & great landscaping. Upon entering the home, you are greeted with captivating red oak wood floors throughout, cathedral-like ceilings, & a perfect combination of charm & modern. The open concept kitchen features a kitchen island, new stainless steel appliances, luxurious quartz countertops, & beautiful modern fixtures. The bathroom fixtures include marble vanity, new tub, impeccable tile work, & great storage. Enjoy the gentle breeze in the backyard in the new red brick patio, & relax because there is a drip irrigation & sprinkler system! Other new features include: water heater, plumbing, windows, shed, paint, doors! Adorable well kept 2 bed 2.5 bath home in the NW. 2 masters both with a full bath, open patio, and overall great condition. You won't want to miss this opportunity!! Call for your showing today! Great 4/5 Bedroom Northeast Heights Home! 4 Bedrooms in Main Living Area plus Additional Bedroom, Kitchenette, and Full Bath in the In-Law-Quarters with it's own Entrance. Formal Living Room, and Separate Family Room for Entertaining and Relaxing. Large Backyard with 2 Covered Patios, and Sideyard Access for RV or Boat Storage! Energy Saving Thermal Windows Throughout. ROOF Replaced in 2018. Large Cul-De-Sac Lot. Lovely, updated UNM home, so conveniently located within an easy bike ride to UNM. Brand new roof (10/2018). Kitchen has been totally redone with dishwasher, cabinets, tile floor, quartz counter tops. Bathroom was redone with custom tile work, glass tub/shower doors and quartz vanity top. Bonus room could be used as bedroom, den, etc. Newer low-E windows. Original gleaming hardwood floors and custom fireplace. Front and back sprinkler and drip system for handsome raised-bed planters in both yards. Charming front porch and rear covered patio. Custom decorative artistic painting accents in several rooms. Inspections have been done and repairs have been made - lots of improvements and upgrades. 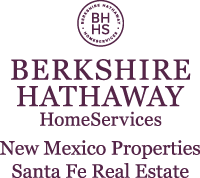 Great neighborhood, close to sports arenas, Hyder Park, and Bandelier Elementary. Wonderfully cared for ranch home in the Sandia Foothills. A short distance to parks, trails and easy access to Sandia National Labs and Kirtland AFB. Bright and open floor plan features 2 living areas, one with a custom wood burning fireplace. The kitchen features stainless steel appliances including gas cooking and built-in microwave. Kitchen and bathrooms are all updated. A private backyard is complete with 2 storage sheds, covered porch and a beautiful green lawn and shade tree. A separate finished room could be a perfect studio/work space, schooling room, workout room, etc. Exceptional value in a superb location put this on your short list, you will not be disappointed! Pristine one-owner home located on a short side street just off of Eagle Rock. La Cueva High School District and a short distance to several parks, the North Domingo Baca Community Center and La Cueva HS and Desert Ridge MS. Low maintenance landscaping, extra large 2-car garage and tiled roof. REFRIGERATED a/c, 2 living areas on the main level and an open & bright floor plan with a great flow. The spacious kitchen features an island , corner pantry and lots of cabinet & counter space. The master suite is expansive and is complete with a separate shower, garden tub and spacious walk-in closet. The backyard is private with a covered porch, no-maintenance synthetic lawn and mature rose-bushes. Put this on your short list to see today, you will not be disappointed!